When function defines form, the results are often spectacular. And so it is with this lovely vintage racebike, built by four-time AHRMA National Champion Kenny Cummings of NYC Norton. 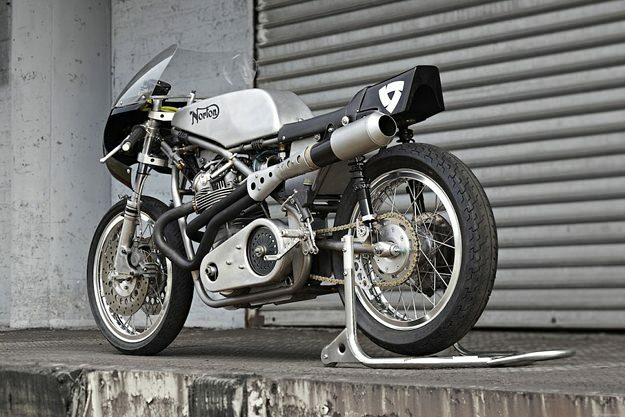 The bike is a modern take on the classic Seeley Mk II Norton racer. Its pedigree is perfect: for starters, the frame was hand-fabricated by Roger Titchmarsh in the UK, the only man permitted to replicate the original Colin Seeley design. And it weighs just 24lbs (10.9kg), including bearings, bushings, and chain adjusters. (Bonus: this design also allows you to remove the cylinder head and block without taking out the engine.) 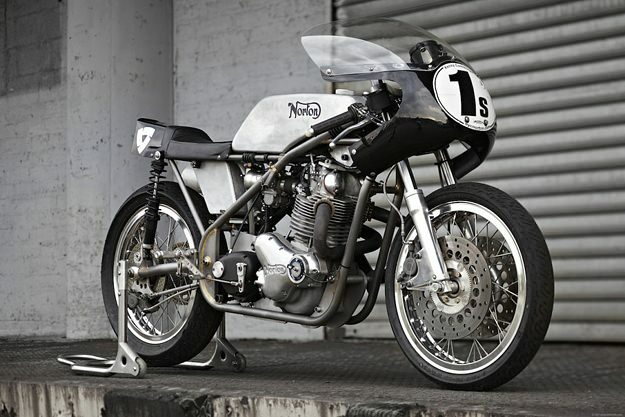 The Norton Commando 750 motor was assembled using racing components, and there’s hardly a lick of paint on the unfaired bike—just bare metal. Checking the specification reveals a remarkable amount of skill and knowledge going into this build. It’s craftsmanship of the highest order, using period-correct components—like the Norvil 6-bolt racing front hub, AP Racing calipers and 70s-era Brembo brake masters. The suspension looks equally vintage, but has actually been heavily upgraded by specialists Cosentino Engineering. 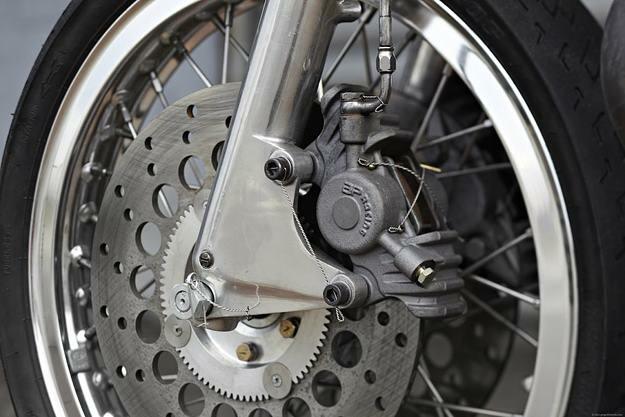 There are modern Showa fork internals with adjustable compression, pre-load and rebound damping. The back end is supported by Works Performance shocks. The engine merits a whole article in itself, being full of trick parts from JS Motorsport and Steve Maney, and topped off with a Fullauto Technologies 850cc head with 33mm inlet ports. The specs match the AHRMA vintage motorcycle racing regs for the Formula 750cc class. In essence, it means that most components are limited to those you might find on a pre-1972 GP motorcycle. Power output is around 70 hp, which is extremely good considering the regulatory restrictions and 300 lb (136 kg) weight of the bike. 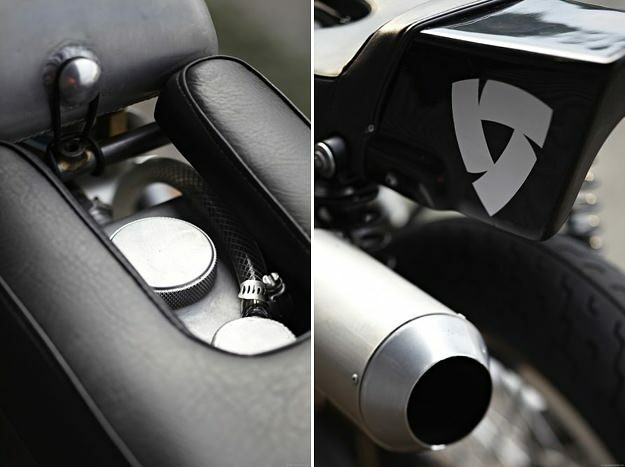 Top marks to motorcycle apparel maker REV’IT! for helping to make this bike possible. 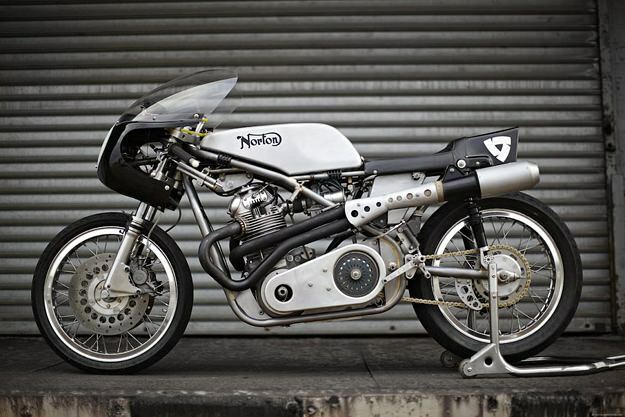 The Norton also has a beautifully-designed website devoted to it—packed with information and high-quality photography. It’s one of the best motorcycle-related sites I’ve seen for a long time, and well worth a few minutes of your time. Check it out here.